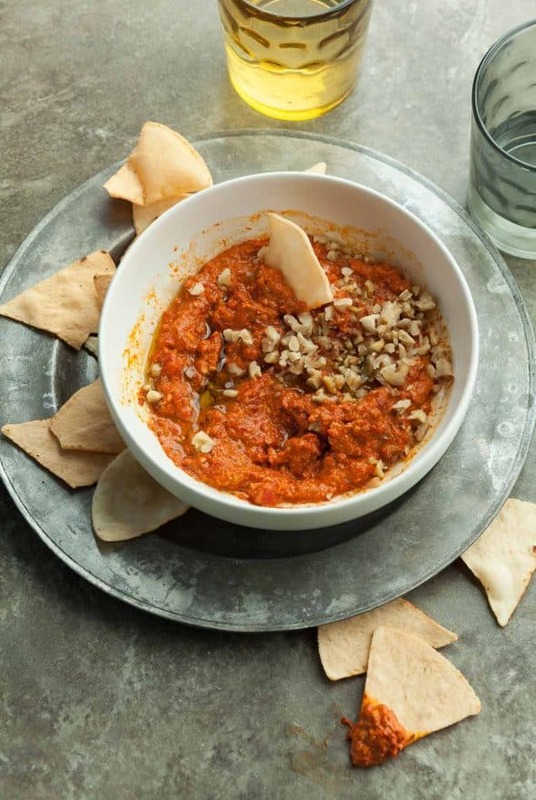 A gluten-free and paleo version of the spicy, smoky and sweet red pepper and walnut dip called Muhammara. As I’ve mentioned before, I love a good dip. 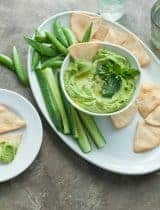 Whether it’s spicy and green, smooth but fiery, or cooling and creamy I like to keep something dippable on hand and in the fridge most weeks. 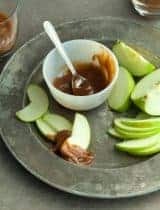 With a batch of homemade dip ready in the fridge you have the makings of a near instant snack or appetizer, or the beginnings of a terrific sandwich or wrap. 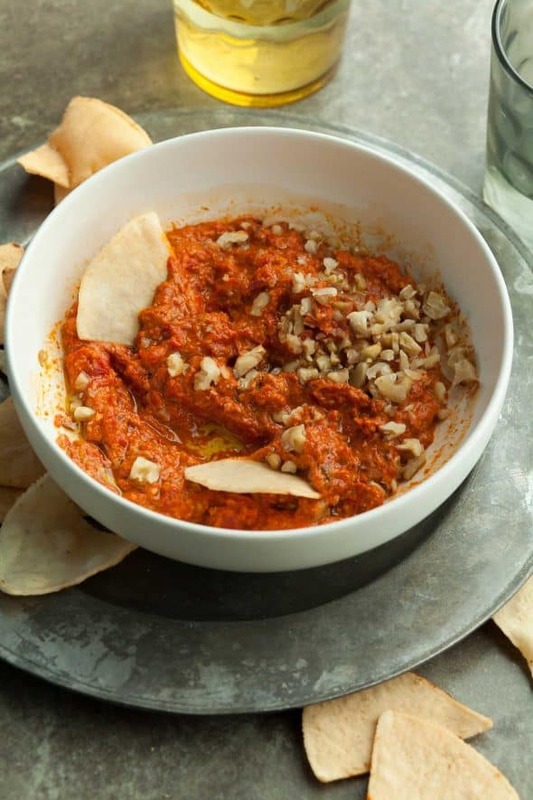 Lately I’ve been making a spicy red pepper and walnut dip called muhammara. 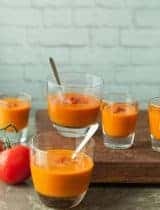 This dip is a nice change of pace from the usual suspects; it’s both brightly colored and flavored with a lovely coarse and loose rather than smooth texture. It has a sweet, smoky flavor with a hit of spice that’s offset by a bit of tartness. It’s the perfect way to start off a summer meal when peppers are plentiful at the markets. You start by roasting sweet red peppers over an open flame. If you happen to have the grill on, just toss them on alongside whatever you’re making and wait until they start to collapse and the skin chars and blackens all over. If you’d rather not heat up the grill you can also throw them over a gas burner or under a hot broiler. Once the peppers are done, they are set aside to steam and in their own heat while you toast and chop the walnuts. The roasted peppers are then coarsely chopped in the food processor along with garlic olive oil and a few spices. 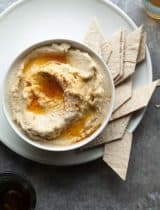 A mix of cayenne pepper, paprika and cumin stands in for the more traditional but hard to source Aleppo pepper and gives the dip an extra spicy and smoky depth of flavor. Sweet/tart pomegranate molasses adds a lively note of acidity and brighten the whole dish while further highlighting the sweet and spicy flavors. 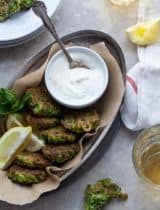 Part of the walnuts are quickly pulsed into the mixture to create a chunky rust colored dip with some heft while the rest are sprinkled across the top along with a generous glug of olive oil to finish the dish. 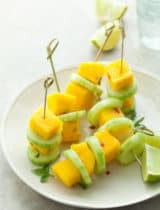 Serve it with some homemade pita chips or store bought grain-free chips and you have a simple make-ahead appetizer for any picnic or backyard barbecue you may be heading to. Preheat broiler with oven rack in top position or if using a grill pre-heat. If using a gas burner, roast peppers over a gas burner, turning occasionally with tongs until blackened all over. If using a broiler, place peppers on baking sheet and broil, turning occasionally, until charred on the outside and soft(about 10-15 minutes). If using a grill, place peppers on hot grill. Cover grill and cook peppers 5 minutes, turn over; cover and cook 5 minutes longer or until slightly charred on all sides and softened throughout. Transfer peppers to a large bowl and cover with a plate; set aside and let cool for 10 minutes. Meanwhile, turn broiler off and turn oven to 350 F. Spread walnuts out on a baking sheet and toast in oven until golden and fragrant, (about 5 minutes). Remove from oven, let cool and place ½ a cup of the walnuts into a small food processor. Pulse until finely ground, set aside. Coarsely chop the remaining ¼ cup of walnuts and set aside as well. Peel and seed cooled roasted peppers and transfer them to food processor, along with garlic, sea salt, cumin, paprika, cayenne, pomegranate molasses and olive oil and process until chunky. Stir in ground walnuts. Transfer to serving bowl, top with extra olive oil and remaining chopped walnuts. Serve with grain-free chips. 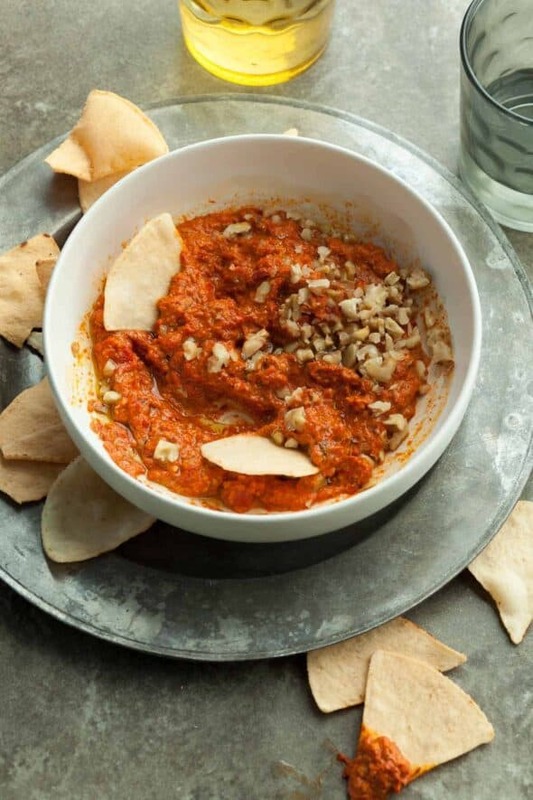 In Andorra (the micro-nation up in the Pyrénées between France and Spain), they do a version of this called romesco, with vinegar instead of pomegranate molasses. Over a fire, they roast special green onions called calçots (unpeeled! ), then wrap them in newspaper so the steam makes the outer skins easy to peel off. You dip your skinned calçots into the romesco, tilting your head back to eat them, like a fire-eater. I live near Andorra but not near enough to get calçots; I just use slim green onions. Tip on the red peppers: when they're charred, put them in a paper bag and close it tightly. Again, the steam will make the skins loosen and when they're cool they'll be easy to peel. 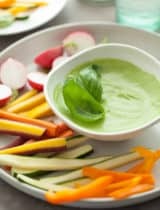 One of my favorite dips! I love the tang pom molasses gives. It's that ingredient that makes you go "now this is special." This will be a perfect friday night dip with wine! Love the vibrant shade. 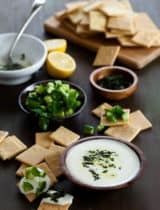 This sounds really tasty..I am always looking for fun dips to try that are not dairy heavy, have to try this! I'm with you! I love dips + try to have healthy choices on hand always. Pinning this one to make. Q: I have 2 jars of roasted peppers in pantry. In a pinch, could I sub these? Thanks for your guidance + this super yummy recipe! Sorry.. I just re-read the recipe and you already have answered my question! Great ~ will be able to make this week! Exciting new dip for my family!